In Bangladesh, there are provisions for local government bodies for different tiers of administration. The Union Parishads (UPs) are the local government bodies for the lowest tier and are located in rural areas. To undertake its mandated functions, the UP receives finances from two sources, internal and external. The internal sources include revenue generated from specific local sources that have been by law assigned for taxation to the UPs. With regards to external source, UPs receive financial grants and supports directly from the government and the Local Governance Support Project (LGSP). The important internal sources include tax on annual value of homestead known as holding tax; tax on professions, trades and callings; tax on cinemas, drama and theatrical shows and other entertainments; amusements; fees for licenses and permits granted by the Parishads; lease money from specified haats, bazaars and ferries within the UP and share of land transfer tax of total collection within the territorial jurisdiction of UPs. Here it may be noted that revenue from the last two sources mentioned earlier are collected by central government and later disbursed to the UPs in a specified manner. The rates of each tax, fee, etc., are listed in the Model Tax Schedule 2012 introduced by the government. Under the Model Tax Schedule, 2012, business taxes have been grouped into 13 broad categories. In the case of cinema and exhibition, the UPs may levy tax up to 10% of the entrance fee. But different studies revealed that the UPs in overwhelming cases only collect holding tax. The other sources remain almost unexplored by the UPs. The fact is that the UPs are not fully aware of the full potential of various taxes in terms of their tax bases, volume and possibility of collection. However, this should be noted here that emphasis on tax collection is comparatively a new phenomenon as even in the recent past UP elected representatives were almost absolutely reluctant to collect any kind of tax for fear of losing popularity. The other important fact that needs to be mentioned here that the UPs lack expertise in listing and assessing various professions, businesses and callings under categories specified in the Model Tax Schedule. In general, business related tax only mean to them license fees for shops and other business establishments. This fact hinders the UPs to be pro-active in listing all professions, businesses and callings. Generally, for collecting holding tax, UPs appoint tax collectors on the basis of commission. This system makes the appointed tax collectors pro-active in collecting holding tax because increased collection ensure higher earnings for them in the form of more commission. But taxes related to businesses, in overwhelming cases, are collected by UPs by issuing various licenses. In this case, licensees need to come to the UPs for obtaining licenses by paying stipulated fees. In the case of business taxes, UPs do not take much initiative in assessing the size and volume of the businesses and determine taxes on that basis. It was reported by various sources that with respect to paying of business taxes, generally there is no formal mechanism in the UPs, such as, serving of notices and following up with the defaulters to ensure compliance on the part of the taxpayers. For this reason, many professions, businesses, and callings remain out of the purview of the UP tax net. Over the years, taxpayers in UPs have developed a negative attitude towards payment of taxes as they are not aware how the collected taxes are used by the UPs. There is also a general lack of willingness on the part of the UPs in assessing and collecting taxes. This is due to the perceived notion of the elected representatives that if they emphasize on the assessment and collection of taxes it will have adverse effect on their possibility of reelection in subsequent UP election. But if the full potential of tax could be realised, the UPs could augment their internal revenue generation to a great extent. This will reduce their dependency for grant from the central government. For this purpose the UPs could prepare a tax roll containing detailed list of professions, businesses and callings that are found and in operation at that level. This tax roll could be developed in line with the classifications provided in the Model Tax Schedule. This will help concerned UP in developing its business tax net, monitor its progress and update the tax roll on a regular basis. For this purpose, UPs need to be provided with support and assistance in the form of training so that they acquire competency in developing and updating business tax roll. Assessment of various taxes is needed to determine tax variations as mentioned in the Model Tax Schedule. For this purpose, UP elected representatives and the secretaries need to be provided with relevant skill development training in tax assessment especially of businesses in terms of their sizes and volumes. For tax assessment, ward based committees could be formed under the leadership of elected members and community representatives could be chosen for cooption to those committees. This will ensure people’s participation and develop a culture of tax payment at that level. It has been mentioned earlier that currently, in most of the cases, taxes are collected as license fees for various businesses. The businesses obtain them from the UPs. A mechanism could be developed to pro actively collect these taxes by the UPs from different sources. For this, a committee with concerned ward member with representation from the community may be formed with the responsibility of business tax collection. With respect to collection of taxes from billboards of non-local organisations, concerned UPs need to establish contact with such organisations and pursue the matter. In this regard, if necessary, UPs should seek assistance from the Upazila, district administration and the media. 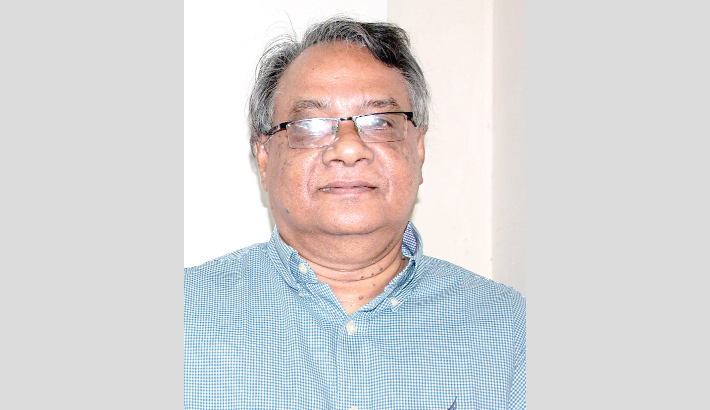 The writer is Professor and Chairman, Department of Public Administration, University of Dhaka and Member, National Human Rights Commission, Bangladesh.